This collar will restrict the doll’s posing ability so pose the doll how you wish before beginning. 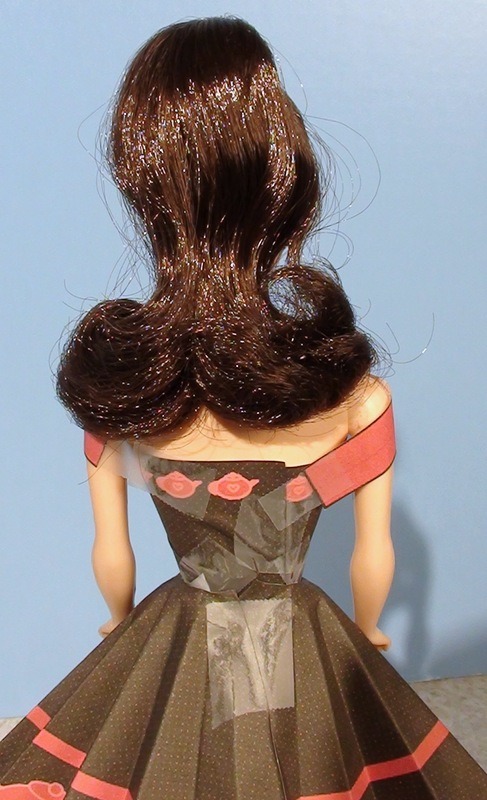 Take a belt piece and, with it centered on the front of the doll, wrap it around the doll’s shoulders, making sure that everything looks good from the front. Tape the ends of the belt to the doll’s dress on the back. 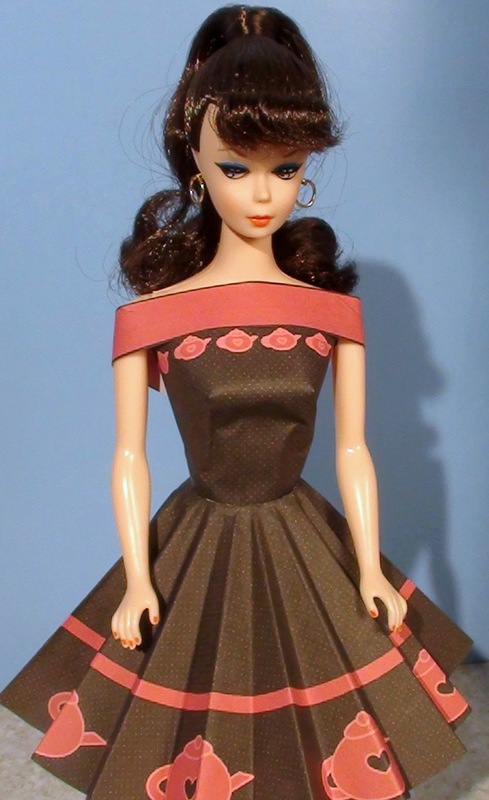 This particular doll in the picture has very wide shoulders so the collar didn’t quite reach but most of the new, thinner, fashion dolls will not have this problem. I just used a longer piece of tape but you could also tape a strap to the end of the belt to extend the collar. For thinner dolls I sometimes use a strap piece instead of a belt piece for this collar.